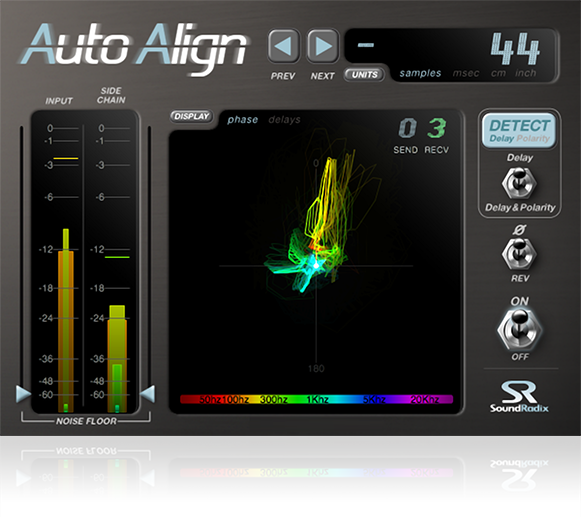 Auto-Align is an automatic microphone alignment and phase correction plug-in. When recording an instrument with more than one mic, sound tends to reach each microphone at a slightly different time, causing some frequencies to cancel each other out and other frequencies to build up unnaturally. This phenomenon is known as the comb-filter effect. Auto-Align will analyze your multi-mic recording and will automatically detect and compensate for the delay between the microphones sample-accurately, significantly reducing the comb-filter effect and dramatically improving the resulting sound. Properly aligning microphones makes for an amazing difference in low-end definition and punch. With AUTO-ALIGN alignment takes only a few seconds, where previously it required spending considerable time trying to time-align and figure out phase issues. AUTO-ALIGN can automatically detect a reversed polarity mic and compensate for it. A unique Spectral Phase Correlation Meter shows the phase correlation between the input and reference mics across the entire frequency spectrum. 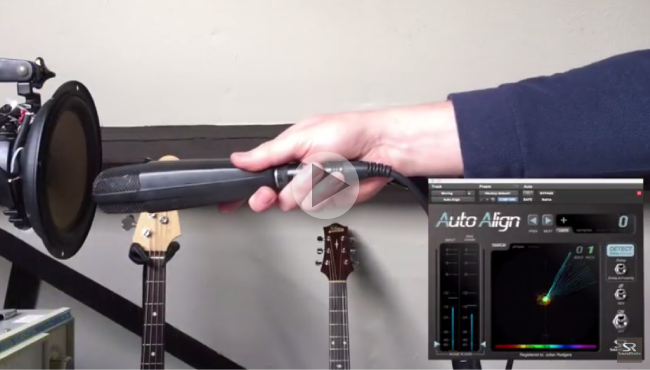 AUTO-ALIGN detects and compensates for the delay between the microphones or DI box sample-accurately, significantly reducing the comb-filter effect and dramatically improving the resulting sound. When distant microphones are used, or when some delay is desired to enhance the sense of space, AUTO-ALIGN can time-place the microphones relative to the close-mic'ed source to minimize the comb-filter's effect. Just click on the NEXT or PREV buttons to navigate between the best phase-correlated settings.